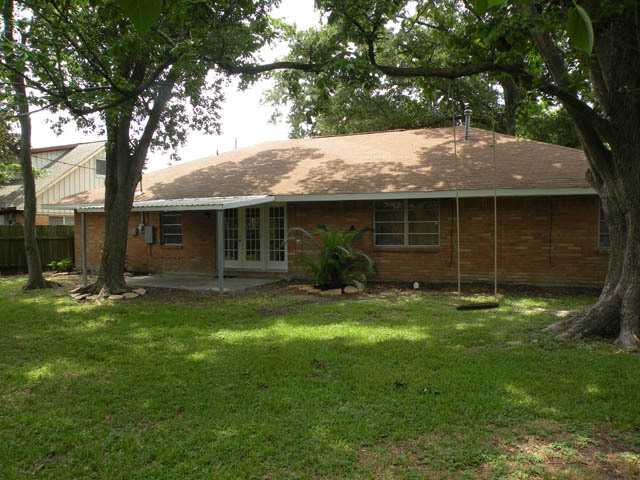 Completely renovated 1,700 square foot 4 bedroom, 2 bath home with large fenced yard and big trees. 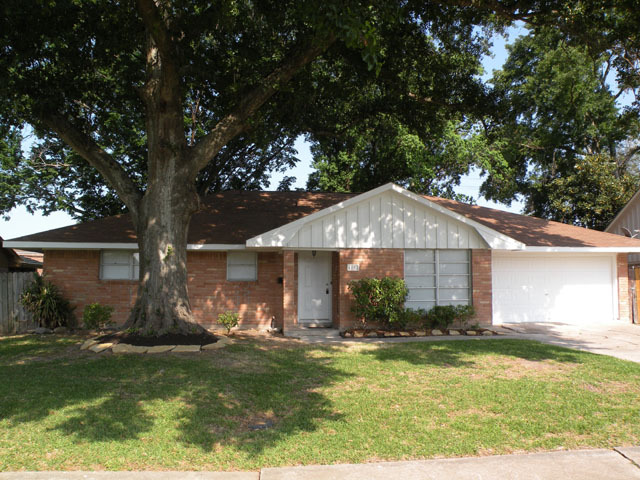 Features open floor plan with all new carpet, paint, tile, granite countertops, stainless cooktop and fixtures, new efficient central AC and ducts, large bedrooms, new underslab plumbing, landscaping front and back, french doors, walking distance to school, close to I-45 and Beltway 8. A steal at $112,500. Come and see this beauty before it's gone. Buyer's Agents Welcome! Please check us out on HAR.com. The spacious and shady backyard with lots of grass and a covered patio.